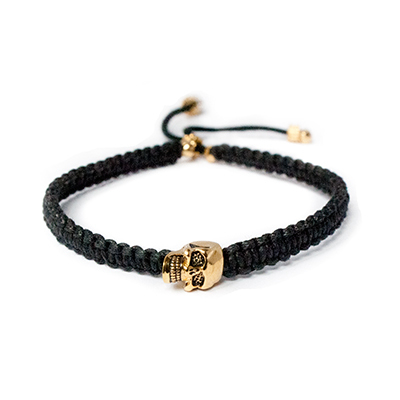 Sultry and sophisticated, dark and deadly, this is a fiend of a friendship bracelet. 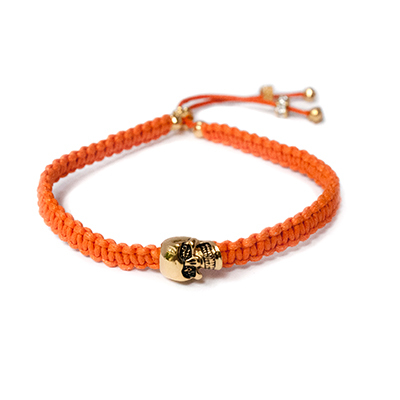 STYLING TIP: Slip it in among a wrist of pretty trinkets to keep things interesting. 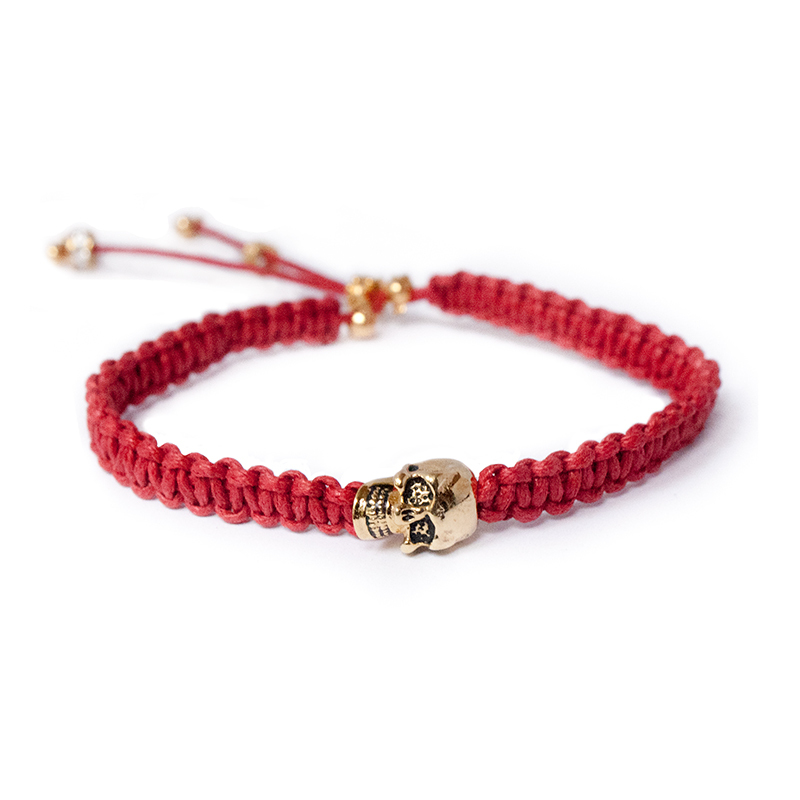 Red hand-woven cotton thread, yellow gold plated skull bead, and fixer beads, adjustable size. SKU: B300060G-RED. 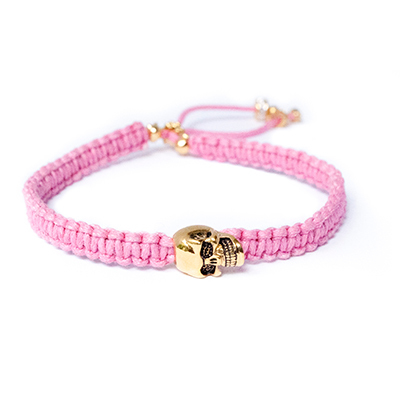 Categories: Bracelets, Dead Romantics, View All.